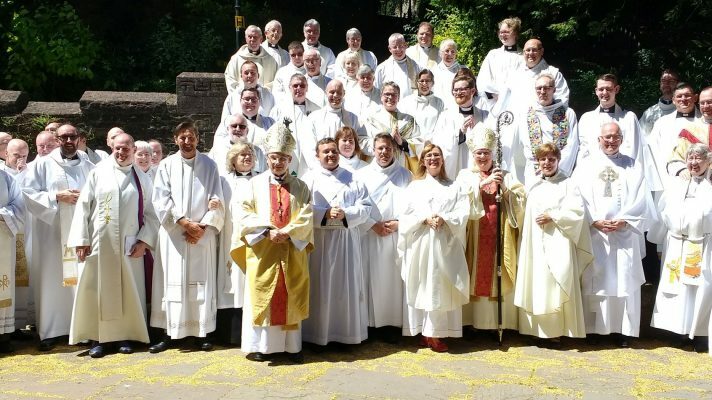 Diocese rejoices with new deacons and priests. 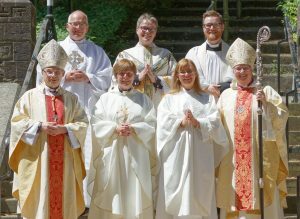 The sun shone as eight candidates were ordanined by Bishop June at Llandaff Cathedral on Saturday (30th June). 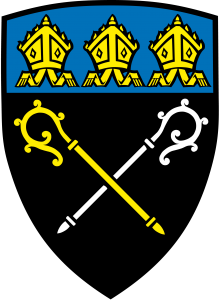 Three new deacons and five new priests were added to our clergy number to continue and begin their ministries in parishes across the diocese. Dave Jones along with Nick Gill and Angela Cooper were made deacons. Dave will serve as assistant curate in Glan Ely; Nick will serve as assistant curate in Whitchurch and Angela will serve as assistant curate (NSM) in the East Vale group of churches. 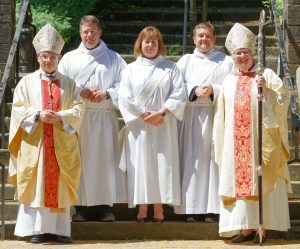 The Revd Rosemary Hill along with the Revd Charlotte Rushton, the Revd Mark Broadway, the Revd Peter Godsall and the Revd Jude Peters were ordained priests and then went on to celebrate their first Eucharists in their training parishes. This was posted on 3 July 2018.